The Church of St Nicholas dominates the skyline in Newbald. According to the old vicar, it is the finest Norman church in the north of England. For more historical information on the church, scroll down this page. On the first Sunday of the month, there are Sunday School activities during the family communion service. With bible stories, craft activities and games, there is something for children of all ages. Light refreshments are served at the end of the service. The Parochial Church Council of St Nicholas’ Church wish to thank all the individuals and families who contributed to our stonework appeal. The work was completed with the help of two generous loans from parishioners of £5,000 each. This restoration will be an ongoing project as stonework will always need replacing. However our first priority is to repay the loans and replenish our reserved funds. Whilst this work has been in progress we have not been able to pay our quota to York , that is a necessary requirement to receive any financial help from the Diocese. English Heritage also refused to help, so all our reserve funds have been spent and our accounts are now minus £10,000, so a very special thank you to all our parishioners who have supported this work. Built on a ridge and situated centrally, St Nicholas Church appears to dominate the skyline of the village. Described by Nikolaus Pevsner, one of our greatest historians of ancient buildings as, ‘the most complete Norman Church in the East Riding’ and often called ‘the Cathedral of the Wolds’, the church derives its name from the Greek, Saint Nikolaus of Myra (270-340 AD). He was also known as Nikolaus the Wonder-worker, famed for secret gift-giving, and became the model for Santa Claus, itself a corruption of Saint Nicholas. He became the Patron Saint of a rich array of professions and lost causes, including: Archers, Brewers, Pawnbrokers, the Clergy, Thieves, Prostitutes and Murderers. An earlier church was recorded in Newbald in the Domesday Survey but the present was built circa 1140, it is Newbald’s only Grade 1 listed building. It has a large cruciform plan with a tall central tower and is almost unique in having four Norman Doorways, the largest and most elaborate being at the west end of the nave, forming the main door. Beautifully carved, it is topped with a wonderful seated figure of ‘Christ in Majesty’. The iron vestry door handle is in the shape of two intertwined serpents, reputedly the original sanctuary handle representing the fact that there are two sides to any dispute. The chancel is 14th and 15th century. On one of the capitals of the south door arch there is a small carving of the ‘Hound of Heaven’ straining to gain entry into the church. Carved into the right hand main door arch is a strange collection of crosses. There are numerous explanations for these, some think they are crosses left by Crusaders before leaving these shores, but there is no official record of Crusaders going from Newbald. Another explanation is they are pilgrim crosses scratched by travellers who stayed overnight in the nave of the church en route to the Humber crossing as they journeyed to Lincoln and more distant shrines. Memorials within the church, which are scarce, include one to Sir Phillip Monckton, a leading Royalist within the Civil War who lived close-by; he died in 1678/9 and was buried in North Newbald. One of the stained glass windows depicts a wonderful hunting horn, this is said to have belonged to Ulphus, son-in-law to King Canute who dedicated his lands, including Newbald to God and St Peter. This ancient relic is kept in York Minster. As with most ancient buildings, maintenance of the fabric of the church is ongoing and expensive and NPC fully supports every effort to raise funds to keep, maintain and improve this important community facility. Recent works have included replacing and repairing damaged and eroded masonry to the door arches and south transept plinth. NPC takes responsibility for the maintenance of the clock. The Coronation Clock was installed on the Tower at a cost of £95 to celebrate the Coronation of King George V in 1911. Newbald Parish Council (NPC) regularly services the clock and arranges for a programme of repairs to ensure it is ‘kept ticking’! NPC also takes responsibility for keeping the churchyard grass cut. Toilet facilities have recently been installed within the church and it is hoped that these will help to attract more events throughout the year within. These already include visiting musical evenings and a very successful Festival of Flowers. 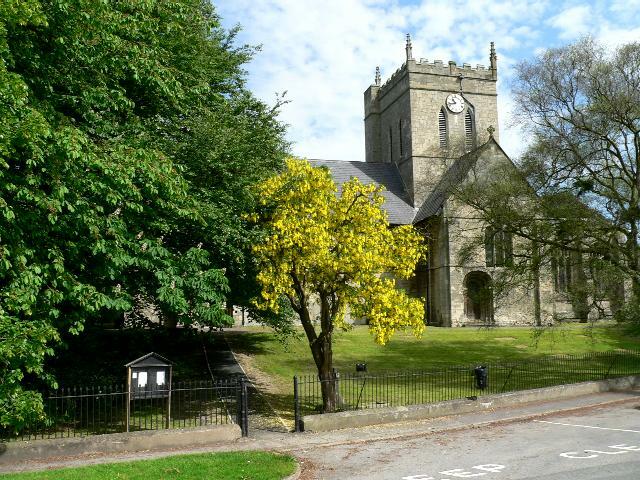 St Nicholas church has faithfully served the spiritual needs of the Church of England community for nearly 900 years with the conduct of services of worship, weddings, baptisms and funerals.